In light of Paula Deen’s recent announcement, I wondered, briefly, if I should continue on my recent quest to find my definitive version of buttermilk biscuits and gravy. However, since even I know that I shouldn’t eat this stuff every day, I silenced the voice shouting inside my head telling that the biscuits will go straight to my thighs. It’s all about moderation, y’all! 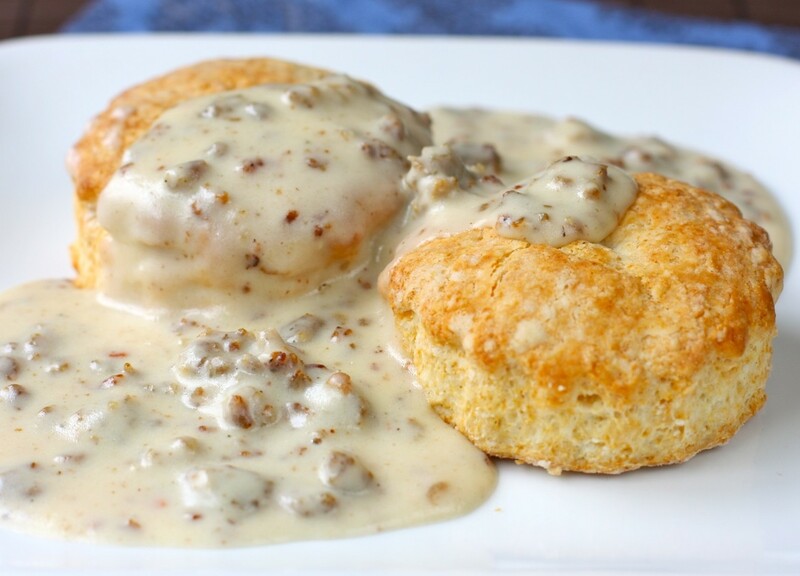 So when the day comes when I choose to indulge in biscuits and gravy, one of my all-time favorite breakfasts, I want to make them the right way. There are as many recipes for biscuits as there are Southern grandmothers, whose family recipes have been handed down for generations. Many recipes call for lard, while others call for shortening or butter or some combination, depending on the desired consistency or richness. Using all or more lard or shortening creates a more tender, flakier biscuit while adding more butter makes it richer. Some Southerners swear by self-rising flour, while others prefer to add their own leavening agents to all-purpose flour. What seems to be the consensus is using a low-gluten flour like White Lily or Martha White because these “soft” flours contain less protein than most national brands resulting in light and fluffy biscuits. Luckily for me, I found White Lily flour quite by accident at Surfas Restaurant Supply, while stocking up on some kitchen essentials. For my first attempt, I turned to the grand dame of Southern cooking, Edna Lewis, for a truly authentic version, made with lard, of course! Miss Lewis, as she was always called, was a well-respected chef and author whose cookbooks not only revived the interest in Southern cooking, but also elevated it with her refined take on this American regional cuisine. She uses all-purpose flour and adds her own homemade single-acting baking powder as the leavener. Miss Lewis preferred making her own to eliminate the chemical additives and the slight metallic taste of commercial baking powders. Properly made biscuits should be light, fluffy, and flaky, and, unfortunately, my first batch of biscuits was not. I overworked the dough and rolled it out too thin. The biscuits were a bit tough, but they tasted ok. I re-read the recipe and made a second batch. This batch was lighter and rose more than the first batch. There was definite improvement, but still not fluffy and flaky enough. I wasn’t up to try a third batch, but I’m sure that I can master the biscuit with a little more practice. Accurately measure ingredients. Flour is measured by spooning into a measuring cup and leveling off with a straight edge. Sifting is not needed. Vegetable shortening should be packed into a measuring cup so there are no air pockets. Then it is “cut” into the flour mixture using a pastry blender, two knives or a fork. The result should be pieces the size of coarse crumbs. Turn dough onto a lightly floured pastry cloth or other surface. Knead gently only until dough holds together and can be rolled out – about 10 to 12 strokes or less. Do not add too much additional flour when kneading and rolling. Apparently, I’ve been measuring flour the wrong way all this time! I always scoop the flour with my measuring cup instead of spooning it in, which can result in a lot more flour than what the recipe calls for, and, in this case, tough and heavy biscuits. Also, I do have a tendency to twist the cutter as I cut, which actually sealed the edges of the dough, inhibiting the rise of the biscuit. I followed Miss Lewis’ instructions of “cutting’ the lard into the flour with my fingers, but in the process, I melted the lard. Next time, I will use a pastry cutter, as I don’t have Miss Lewis’ magic touch. Armed with these tips and the experience of making two batches of biscuits, I will try again and be confident that the results will be closer to my perfect biscuits. Thank goodness the sausage gravy was easy and really good. My only “complaint” with this recipe is that there was just too much sausage. There I said it! Next time, I am only going to use half the amount. Surprisingly, the sausage did not render a lot of fat so I was not able to make a more traditional roux. I just added the flour directly to the sausage after it was browned and the gravy thickened up fine. In a bowl, sift together the flour with the baking powder, baking soda and salt. Using your fingers or pastry cutter, work in the lard just until the mixture resembles coarse meal. Stir in the buttermilk just until moistened. Turn the dough out onto a lightly floured work surface and knead 2 or 3 times. Carefully roll out or pat the dough, about 1/2 inch thick. Using a 2-inch round cutter, stamp out biscuits as close together as possible, without twisting the cutter. Transfer the biscuits to a baking sheet. Pat the dough scraps together, reroll and cut out the remaining biscuits; do not overwork the dough. Pierce the top of each biscuit 3 times with a fork and brush with the butter. Bake the biscuits until risen and golden, about 12 minutes. Serve at once with sausage gravy (recipe below). *To make your own single-acting baking powder, combine 2 tablespoons of cream of tartar with 1 1/2 tablespoons of cornstarch and 1 tablespoon of baking soda. The mix will keep in a tightly sealed jar for up to 1 month. Crumble the sausage and cook in large skillet over medium heat until browned. Stir in flour until dissolved. Gradually stir in milk. Cook gravy until thick and bubbly. Season with salt and a generous amount of black pepper. Someone might be selling your recipe on ebay.. just to let you know. This Southerner believes you did a bang-up job! Thank you, Michelle! That’s so nice of you to say. This makes me very happy. 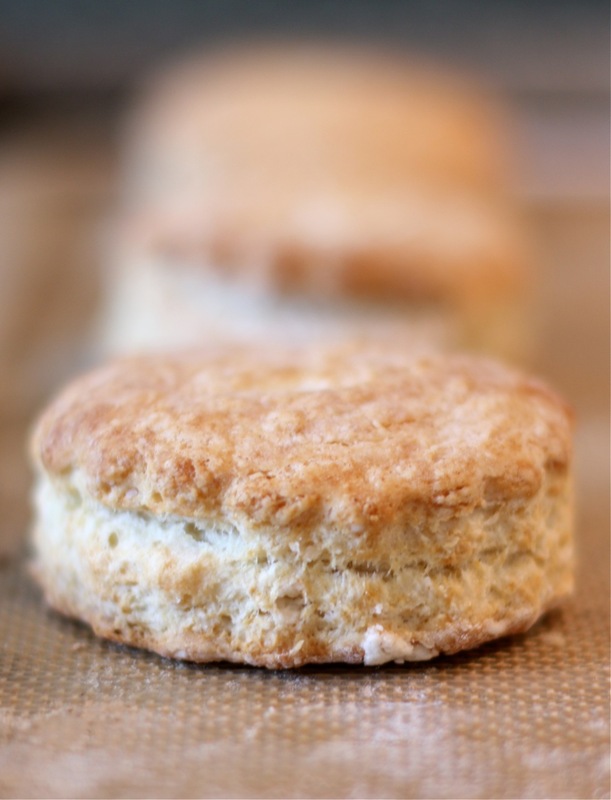 It’s funny — an English friend who ate my biscuits has begged me to blog a buttermilk biscuit recipe (it was funny to see a roomful of English people chewing on the word “biscuit” applied to something other than what we’d call a cookie). And so I was thinking I should do biscuits and gravy. I think I’ll refer them to this post instead! Susan, do you have a recipe you’d like to share? I leave no stone unturned in my search for the perfect biscuits. You know, even though I’ve was born and raised in the south, I never had biscuits and gravy until college. I couldn’t believe I missed out on that deliciousness for so long! Thanks for the recipe! LOL! How did you escape eating biscuits and gravy growing up? This sounds so decadent! Love it! I, too, have been searching for the perfect biscuit recipe, I want one that rise up so high!! I’ll give your tips a try next time! I hope the tips help. 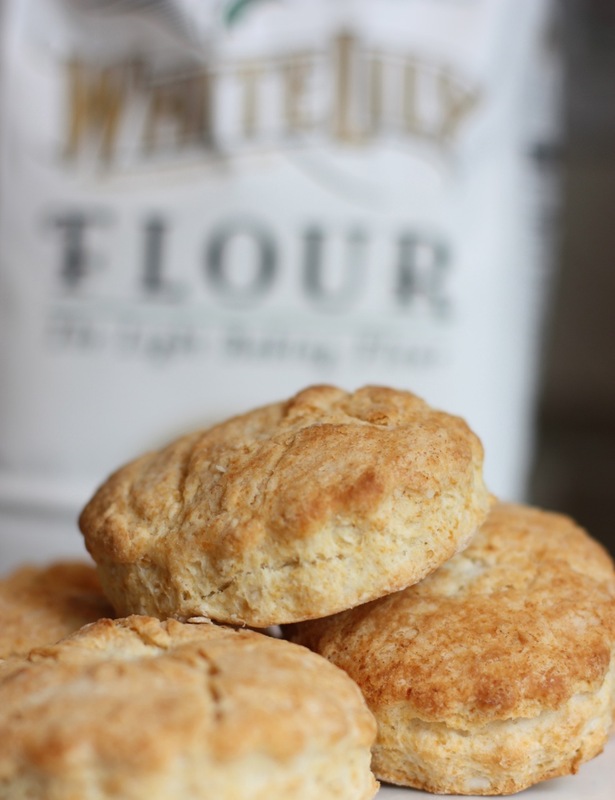 I think I’ll be making more biscuits this weekend using these tips. Let me know how it works for you and what recipe you end up making. We can learn from each other! So I guess American biscuits (biscuits to us a are cookies) are like scones minus the sugar in the recipe and the cream and jam after baking of course. I’ll have to give theses a try. Thank you. I’ll be interested to know how you like these American biscuits. I hope you do try them and enjoy them.